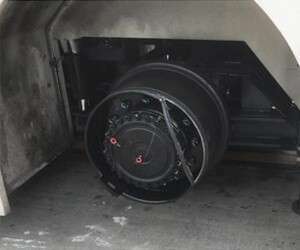 A viral video posted on the IAH Ramp Virtual Union Board Facebook Group captures the second that a massive tire explosion nearly kills a ramp agent. The 7-second video shows two ramp workers preparing to push a Boeing 737 from the gate. 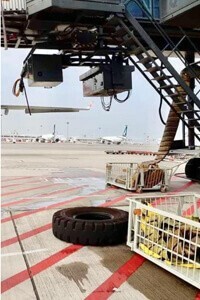 Just as they begin pushing the airplane back, one of the tires on the tractor suddenly explodes. Debris from the blast would have almost certainly killed a nearby ramp worker had he not been standing a few feet outside of the blast radius. It’s unclear if anyone was hurt in the incident. The clip appeared to be from a surveillance camera and was posted on the Jets Asia Pacific Facebook page before being shared by Machinists Union Members in Houston. 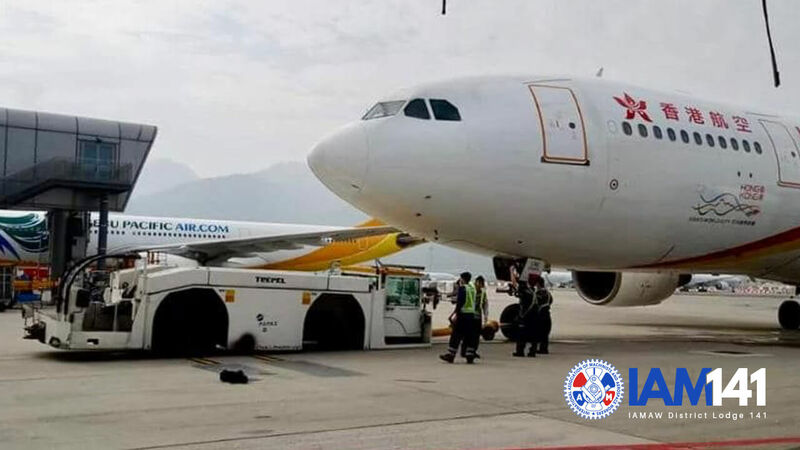 According to the post, it occurred at Hong Kong International Airport (HKG). The video, which has quickly attracted more than 25K views, can be seen below. Machinists Union Members should always report any safety issues or concerns immediately, and must never use unsafe or malfunctioning equipment – no matter how important it might seem to complete an assignment on time. Machinists District 141 Members with safety concerns at their station may contact the IAM141 Safety Department at IAM141.org.